The Gateway podcast goes beyond the headlines to seek out stories that exist in between or under political developments. Its host, Ty Joplin, makes sure to emphasize the human aspect of every story. From the Saudi-led coalition’s war strategy in Yemen to the increasing reliance on mercenaries in battlefield around the world, The Gateway is a Middle East podcast that explores under-reported stories. Its first episode starts with a bang by interviewing John Kiriakou, the CIA officer who first blew the whistle on the agency’s use of waterboarding against suspected terrorists. Joplin speaks with Kiriakou about the current CIA Director, Gina Haspel and the fear that she may bring back the CIA’s torture program with a blessing from U.S. President Donald Trump, who has infamously called to conduct torture on terrorists and their families. The Gateway is perfect for listeners who are aware of the broad issues in the Middle East, but seek a fresh voice that comes from the region directly. The UAE Tech Podcast is an exploration of how technology is reshaping and merging with government in the United Arab Emirates. In a series of Emirates first established in 1971 the center of technological gravity is shifting from the private sector to a hybrid relationship involving industrialists, entrepreneurs, diplomats, policymakers, creatives and citizens. It’s also here that signs of a Fourth Industrial Revolution are emerging. Hosted by John Lillywhite, UAE Tech explore how innovations in big data, network science, blockchain and digitalisation are not simply revolutionising government, but could - one day - play a role in influencing the systems that power global civilization itself. 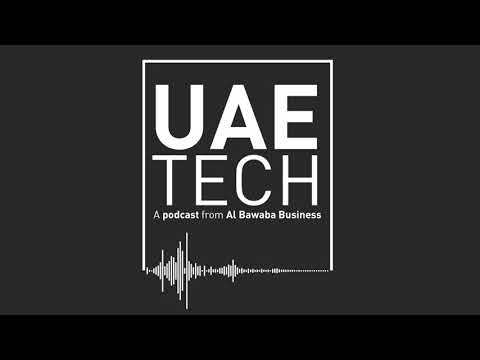 The UAE Tech Podcast is for tech lovers curious about the United Arab Emirates ecosystem, and for anyone interested in how technology is reshaping society, policy and government as a concept. Recorded live from LSE’s campus, the LSE Middle East Centre’s podcast is a collection of talks by scholars on Middle Eastern history and politics. Eschewing quick soundbites or takes, the podcasts can easily go over an hour and a half, and are perfect for listening to while working or commuting, turning any mundane activity into a learning experience. Because the podcast highlights academic work, it engages underlying trends or historical drivers that inform have informed Middle Eastern politics for decades. In other words, if you want to know the history of Kurdistan and its women fighters, or of the House of Saud’s political legacy in Saudi Arabia, look no further than LSE’s Middle East Centre, as they tackle both of those questions with considerable detail. Coming from the Middle East Institute in Washington D.C., Middle East Focus hones in on broad issues such as landmines, civilian casualties in Yemen and Turkey economic and political crisis. Middle East Focus is perfect for those who wish to stay updated on regional issues, but do not have the expertise or time to follow developments on a daily or hourly basis. As such, the podcasts’ language is easily accessible and compelling. Its host, Paul Salem, takes the listener on a virtual tour through each Middle Eastern countries’ political landscapes with the generous aid of the Middle East Institute’s well-renowned scholars. For instances, Salem’s discussion with Gönül Tol, MEI’s director of Turkish studies, and Ömer Taşpınar, professor at the National War College regarding the ongoing currency crisis in Turkey provides an excellent primer for curious Middle East wonks who may be interested in Turkey but don’t know where to start. The Gateway is published by Al Bawaba News. UAE Tech is published by Al Bawaba Business. The views expressed in this article do not necessarily represent the views of Al Bawaba. Flip Media Develops & Launches Podcast Technology in the Middle East Region.